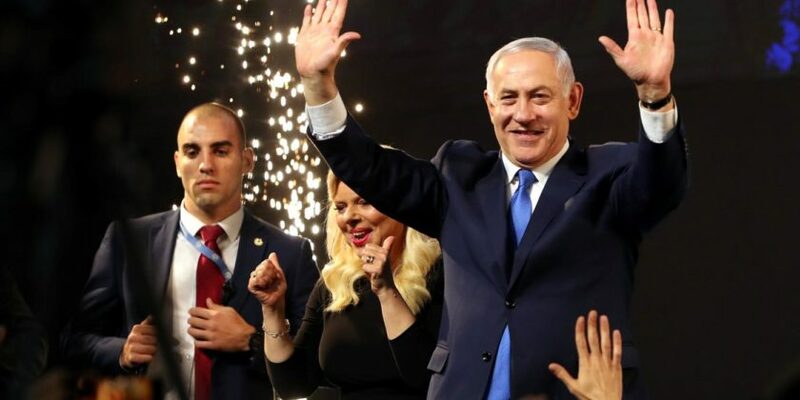 The Middle East is facing a fast moving and dynamic political scene in 2019 from popular protests to the results of the Israeli elections, which while it is clear that Benjamin Netanyahu will remain Prime Minister, the coalition he forms is yet to be determined and given that he is facing corruption charges, there are questions whether he will see out his historic fifth term. Algeria and Sudan have also felt the waves of change as popular protests sweep through the countries, but interestingly the military have been involved from the start of these protests in an attempt to limit the message and impact to the elimination of corruption. This serves to distinguish the military from the government, as well as conveniently separating them from the perception of corruption. The use of terms like “the elimination of corruption” to gain legitimacy is increasingly noticeable, as this is the key issue amongst protestors who are seeking change. This rhetoric was used recently to legitimize the new comers to power, such asthe detention of people accused of corruption at the Ritz Carlton hotel in Saudi Arabia when MBS rose to power as Crown Prince. Now we are seeing it used by the military establishment. Given that these organizations and other accusers were part of the very corruption they now condemn for many years; they will need a lot more than anti-corruption to gain real legitimacy. Sudan and Algeria are facing an overwhelming desire for change, but superficial actions are unlikely to satisfy the massive desire for change, and could in fact lead to further chaos. The regional implications are not limited to popular unrest and the toppling of regimes. The results of the Israeli elections suggest that political parties are becoming more hardline and extreme in order to remain influential and maintain stability. This is having an impact on foreign policy and regional politics. Should Netanyahu rebuild his coalition amongst the right, which is most likely, then he will have to enact their policy of annexing Israeli settlements in the C Zone on the West Bank, isolating it from all other Palestinian areas. While Netanyahu has opposed the push for a full military operation in Gaza, he will struggle to resist the pressure from his coalition partners, especially as he needs support while he faces corruption charges. Netanyahu will be relying on the US, and will likely take control of the Golan Heights, which America has now recognized as part of Israel. While this will create tensions, it will give him more cards to play in any regional settlement discussions. The US administration’s designation of Iran’s Islamic Revolutionary Guard Corps as a foreign terrorist organization could be seen as an opportunity for Israel to push even harder in targeting Iran, but this will also lead to further destabilization. As Israel plays out its next steps, there are massive political and security implications for the region. If they move ahead on annexing the West Bank, the Palestinian response could lead to another intifada, which could also spark regional destabilization that will place Jordan deep within the crisis.